Hypnotizability and Performance on a Prism Adaptation Test. The susceptibility to hypnosis, which can be measured by scales, is not merely a cognitive trait. In fact, it is associated with a number of physiological correlates in the ordinary state of consciousness and in the absence of suggestions. The hypnotizability-related differences observed in sensorimotor integration suggested a major role of the cerebellum in the peculiar performance of healthy subjects with high scores of hypnotic susceptibility (highs). In order to provide behavioral evidence of this hypothesis, we submitted 20 highs and 21 low hypnotizable participants (lows) to the classical cerebellar Prism Adaptation Test (PAT). We found that the highs' performance was significantly less accurate and more variable than the lows' one, even though the two groups shared the same characteristics of adaptation to prismatic lenses. Although further studies are required to interpret these findings, they could account for earlier reports of hypnotizability-related differences in postural control and blink rate, as they indicate that hypnotizability influences the cerebellar control of sensorimotor integration. Cerebellum. 2015 Apr 26. Menzocchi M(1), Mecacci G, Zeppi A, Carli G, Santarcangelo EL. Author information: (1)Department of Medical and Surgical Sciences and Neuroscience, University of Siena, Siena, Italy. A hypnotic analogue of clinical confabulation. Confabulation-fabricated or distorted memories about oneself-occurs in many disorders, but there is no reliable technique for investigating it in the laboratory. The authors used hypnosis to model clinical confabulation by giving subjects a suggestion for either (a) amnesia for everything that had happened since they started university, (b) amnesia for university plus an instruction to fill in memory gaps, or (c) confusion about the temporal order of university events. They then indexed different types of memory on a confabulation battery. The amnesia suggestion produced the most confabulation, especially for personal semantic information. Notably, subjects confabulated by making temporal confusions. The authors discuss the theoretical implications of this first attempt to model clinical confabulation and the potential utility of such analogues. Int J Clin Exp Hypn. 2015 Jul-Sep;63(3):249-73. doi: 10.1080/00207144.2015.1031037. Cox RE(1), Barnier AJ. Author information: (1)a Macquarie University , Sydney , Australia. 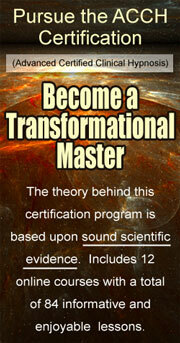 Creating past-life identity in hypnotic regression. To examine the role of hypnotic suggestion in identity in past-life regression, 2 experiments were conducted at the request of Korea's major national television companies. A real historical person and a fictional character were selected as past-life identities. After hypnotic induction, a past-life regression suggestion was given. While counting backward to past-life, the suggestion of a specific identity was interspersed 3 times. In 5 of 6 subjects, the same past-life identity that had been suggested was produced, with relatively rich content accompanied by emotional and historical facts identical to the suggested identity. This study found that it was quite simple and easy to manipulate past-life identity. The role of suggestion in the formation of past-life memories during hypnosis is crucial. Int J Clin Exp Hypn. 2015 Jul-Sep;63(3):365-72. doi: 10.1080/00207144.2015.1031557. Pyun YD(1). Author information: (1)a Pyun Neuropsychiatric Clinic , Seoul , South Korea. Memory formation during anaesthesia: plausibility of a neurophysiological basis. As opposed to conscious, personally relevant (explicit) memories that we can recall at will, implicit (unconscious) memories are prototypical of 'hidden' memory; memories that exist, but that we do not know we possess. Nevertheless, our behaviour can be affected by these memories; in fact, these memories allow us to function in an ever-changing world. It is still unclear from behavioural studies whether similar memories can be formed during anaesthesia. Thus, a relevant question is whether implicit memory formation is a realistic possibility during anaesthesia, considering the underlying neurophysiology. A different conceptualization of memory taxonomy is presented, the serial parallel independent model of Tulving, which focuses on dynamic information processing with interactions among different memory systems rather than static classification of different types of memories. The neurophysiological basis for subliminal information processing is considered in the context of brain function as embodied in network interactions. Function of sensory cortices and thalamic activity during anaesthesia are reviewed. The role of sensory and perisensory cortices, in particular the auditory cortex, in support of memory function is discussed. Although improbable, with the current knowledge of neurophysiology one cannot rule out the possibility of memory formation during anaesthesia. Br J Anaesth. 2015 Mar 3. pii: aev035. Veselis RA1. © The Author 2015. Published by Oxford University Press on behalf of the British Journal of Anaesthesia. All rights reserved. Hypnotizability, not suggestion, influences false memory development. Abstract Hypnotizability influences the development of false memories. In Experiment 1, participants heard a positive or negative suggestion regarding hypnosis and then listened to 8 Deese-Roediger-McDermott (DRM) false memory paradigm lists in a hypnotic state. Neither hypnosis nor prehypnotic suggestion affected memory. Highly hypnotizable participants were more accurate in recall and recognition. In Experiment 2, suggestions were delivered in the form of feedback. Participants heard a positive or negative suggestion about their performance prior to either the encoding or retrieval of 8 DRM lists. Neither accurate nor false memories were affected by the suggestion. Highly hypnotizable individuals recognized fewer critical lures if they received a negative suggestion about their performance. These results highlight the unusual role of hypnotizability in the creation of false memories. Int J Clin Exp Hypn. 2015;63(1):110-28. doi: 10.1080/00207144.2014.961880. Dasse MN(1), Elkins GR, Weaver CA 3rd. Author information: (1)a Baylor University , Waco , Texas , USA. Cognitive scientists routinely distinguish between controlled and automatic mental processes. Through learning, practice, and exposure, controlled processes can become automatic; however, whether automatic processes can become deautomatized - recuperated under the purview of control - remains unclear. Here we show that a suggestion derails a deeply ingrained process involving involuntary audiovisual integration. We compared the performance of highly versus less hypnotically suggestible individuals (HSIs versus LSIs) in a classic McGurk paradigm - a perceptual illusion task demonstrating the influence of visual facial movements on auditory speech percepts. Following a posthypnotic suggestion to prioritize auditory input, HSIs but not LSIs manifested fewer illusory auditory perceptions and correctly identified more auditory percepts. Our findings demonstrate that a suggestion deautomatized a ballistic audiovisual process in HSIs. In addition to guiding our knowledge regarding theories and mechanisms of automaticity, the present findings pave the road to a more scientific understanding of top-down effects and multisensory integration. Conscious Cogn. 2014 Feb;24:33-7. doi: 10.1016/j.concog.2013.12.010. Déry C(1), Campbell NK(1), Lifshitz M(1), Raz A(2). Author information: (1)McGill University, Montreal, Québec, Canada. (2)McGill University, Montreal, Québec, Canada; Lady Davis Institute for Medical Research, Jewish General Hospital, Montreal, Québec, Canada. Electronic address: amir.raz@mcgill.ca. Are the "memory wars" over? A scientist-practitioner gap in beliefs about repressed memory. The "memory wars" of the 1990s refers to the controversy between some clinicians and memory scientists about the reliability of repressed memories. To investigate whether such disagreement persists, we compared various groups' beliefs about memory and compared their current beliefs with beliefs expressed in past studies. In Study 1, we found high rates of belief in repressed memory among undergraduates. We also found that greater critical-thinking ability was associated with more skepticism about repressed memories. In Study 2, we found less belief in repressed memory among mainstream clinicians today compared with the 1990s. Groups that contained research-oriented psychologists and memory experts expressed more skepticism about the validity of repressed memories relative to other groups. Thus, a substantial gap between the memory beliefs of clinical-psychology researchers and those of practitioners persists today. These results hold implications for the potential resolution of the science-practice gap and for the dissemination of memory research in the training of mental-health professionals. Psychol Sci. 2014 Feb;25(2):519-30. doi: 10.1177/0956797613510718. Patihis L(1), Ho LY, Tingen IW, Lilienfeld SO, Loftus EF. Author information: (1)1Department of Psychology and Social Behavior, University of California, Irvine. Using suggestion to model different types of automatic writing. Our sense of self includes awareness of our thoughts and movements, and our control over them. This feeling can be altered or lost in neuropsychiatric disorders as well as in phenomena such as "automatic writing" whereby writing is attributed to an external source. Here, we employed suggestion in highly hypnotically suggestible participants to model various experiences of automatic writing during a sentence completion task. Results showed that the induction of hypnosis, without additional suggestion, was associated with a small but significant reduction of control, ownership, and awareness for writing. Targeted suggestions produced a double dissociation between thought and movement components of writing, for both feelings of control and ownership, and additionally, reduced awareness of writing. Overall, suggestion produced selective alterations in the control, ownership, and awareness of thought and motor components of writing, thus enabling key aspects of automatic writing, observed across different clinical and cultural settings, to be modelled. Conscious Cogn. 2014 May;26:24-36. doi: 10.1016/j.concog.2014.02.008. Walsh E(1), Mehta MA(2), Oakley DA(3), Guilmette DN(4), Gabay A(5), Halligan PW(6), Deeley Q(7). Author information: (1)King's College London, Forensic and Neurodevelopmental Sciences, Institute of Psychiatry, London, SE5 8AF, UK; Cultural and Social Neuroscience Research Group, Forensic and Neurodevelopmental Sciences, Kings College London, Institute of Psychiatry, London, UK. Electronic address: eamonn.walsh@kcl.ac.uk. (2)Cultural and Social Neuroscience Research Group, Centre for Neuroimaging Sciences, Institute of Psychiatry, London, UK; Cultural and Social Neuroscience Research Group, Forensic and Neurodevelopmental Sciences, Kings College London, Institute of Psychiatry, London, UK. (3)Division of Psychology and Language Sciences, University College London, London, UK; School of Psychology, Cardiff University, Cardiff, UK. (4)Stonehill College, Easton, MA, USA. (5)King's College London, Forensic and Neurodevelopmental Sciences, Institute of Psychiatry, London, SE5 8AF, UK. (6)School of Psychology, Cardiff University, Cardiff, UK. (7)King's College London, Forensic and Neurodevelopmental Sciences, Institute of Psychiatry, London, SE5 8AF, UK; Cultural and Social Neuroscience Research Group, Forensic and Neurodevelopmental Sciences, Kings College London, Institute of Psychiatry, London, UK. OBJECTIVES: This study examined how older adults responded to different types of pressure to change their responses when questioned a second time about their memory for a crime. METHOD: After watching a video of a crime and answering questions about remembered details, younger (18-22 years) and older adults (64-91 years) were either given negative feedback about their memory performance, were told that most people their age did poorly on the memory test (stereotype threat), or were simply asked to answer the questions again. This was done regardless of their actual accuracy, and the questions were then repeated. RESULTS: Results showed that both younger and older adults changed significantly more responses following negative feedback and changed more responses on misleading than on nonleading questions. Among older adults, as age increased, accuracy decreased and rate of response change increased. People were moderately confident overall about both their correct and incorrect responses. DISCUSSION: These results highlight the dangers of repeatedly questioning older witnesses with misleading questions and suggest that the responses that are changed may come to be remembered confidently-regardless of whether they are correct or incorrect. J Gerontol B Psychol Sci Soc Sci. 2014 May;69(3):356-65. doi: 10.1093/geronb/gbt071. Henkel LA. Author information: Correspondence should be addressed to Linda A. Henkel, Department of Psychology, Fairfield University, Fairfield, CT 06824. E-mail: lhenkel@fairfield.edu. This article cites research that indicates that older people have improved cognitive performance early in the day. This is correlated with greater activation of the brain's attentional control regions, which are the rostral prefrontal and superior parietal cortex. The implications of this is that older adults should focus on more complex tasks earlier in the morning. Also, we believe that tasks such as reading (i.e. speed and comprehension) is greatly enhanced earlier in the day. It is also noteworthy that the mentioned neural substrates also have a direct role in the hypnotic process. Thus the further implication is that hypnosis, to include self-hypnosis, would be more productive in the earlier part of the day older adults. This is a hypothesis that should be studied further. Age differences in eyewitness memory for a realistic event. OBJECTIVES: To better understand the effects of misinformation on eyewitnesses of different ages, older and younger adults experienced an event under intentional and incidental learning conditions in a naturalistic experiment using multiple memory tests. METHOD: Following exposure to the event, which was a brief interruption of a group testing session, participants completed several memory tests. For half of the participants, misinformation was embedded in the first cued recall test. On subsequent free recall and cued recall tests, basic scores and misinformation-based memory errors were examined. RESULTS: As expected, younger adults had higher recall scores than older adults. Older and younger adults made the same number of misinformation errors in free recall and in cued recall with intentional learning. However, in the incidental condition, younger adults made more misinformation errors likely due to the information processing strategies they employed after incidental learning. DISCUSSION: Misinformation effects were quite strong, even with a realistic scene and intentional learning. Older adult suggestibility was no worse than that of younger adults. When misinformation was combined with incidental learning, younger adults may have used strategic processing to encode misinformation to their detriment. J Gerontol B Psychol Sci Soc Sci. 2014 May;69(3):338-47. doi: 10.1093/geronb/gbt014. West RL(1), Stone KR. Author information: (1)Correspondence should be addressed to Robin L. West, Department of Psychology, University of Florida, P. O. Box 112250, Gainesville, FL 32611. E-mail: west51@ufl.edu. Intelligence is primarily a measure in one's ability to learn. The underlying theory of intelligence presumes that there are individual differences in the capability to use perception, memory, and learning. This article addresses the relevance of intelligence testing, its proper use in society (to include academic endeavors), and the roles of Gardner's multi-intelligence theory in our societal functioning. Together I see these issues as having scientific, philosophical and even religious/spiritual dimensions. Other than the utility and morality issues, the concept of static versus dynamic/changing intelligence must be discussed. The gestural misinformation effect: skewing eyewitness testimony through gesture. The susceptibility of eyewitnesses to verbal suggestion has been well documented, although little attention has been paid to the role of nonverbal communication in misinformation. Three experiments are reported; in each, participants watched footage of a crime scene before being questioned about what they had observed. In Experiments 1 and 2, an on-screen interviewer accompanied identically worded questions with gestures that either conveyed accurate information about the scene or conveyed false, misleading information. The misleading gestures significantly influenced recall, and participants' responses were consistent with the gestured information. In Experiment 3, a live interview was conducted, and the gestural misinformation effect was found to be robust; participants were influenced by misleading gestures performed by the interviewer during questioning. These findings provide compelling evidence for the gestural misinformation effect, whereby subtle hand gestures can implant information and distort the testimony of eyewitnesses. The practical and legal implications of these findings are discussed. The "memory wars" of the 1990s refers to the controversy between some clinicians and memory scientists about the reliability of repressed memories. To investigate whether such disagreement persists, we compared various groups' beliefs about memory and compared their current beliefs with beliefs expressed in past studies. In Study 1, we found high rates of belief in repressed memory among undergraduates. We also found that greater critical-thinking ability was associated with more skepticism about repressed memories. In Study 2, we found less belief in repressed memory among mainstream clinicians today compared with the 1990s. Groups that contained research-oriented psychologists and memory experts expressed more skepticism about the validity of repressed memories relative to other groups. Thus, a substantial gap between the memory beliefs of clinical-psychology researchers and those of practitioners persists today. These results hold implications for the potential resolution of the science-practice gap and for the dissemination of memory research in the training of mental-health professionals. Psychol Sci. 2013 Dec 13. Patihis L, Ho LY, Tingen IW, Lilienfeld SO, Loftus EF. Department of Psychology and Social Behavior, University of California, Irvine. Occasionally I'll encounter 40-ish or older male patients who are encountering learning, memory, and motivation problems. During their intake and subsequent discussions I often detect similar patterns. They are individuals who are successful in their professional lives. Yet, they tend to be over controlling workaholics who equate effort with results. I've even heard more than one of them using the phrase "no pain, no gain." Indeed, too often they equate personal sacrifice with results. This leads to an unbalanced life which will eventually affect their effectiveness. In short, trying too hard will lead to ineffectiveness, a loss of control of their temper, and health problems. To merely treat the presenting memory and motivation problem blindly with hypnosis or allopathic remedies would be unfruitful and potentially harmfully. Cereb Cortex. 2013 Apr;23(4):801-5. doi: 10.1093/cercor/bhs068. Nemeth D, Janacsek K, Polner B, Kovacs ZA. Institute of Psychology. Full title: Children's event reports: factors affecting responses to repeated questions in vignette scenarios and event recall interviews. When adults repeat questions, children often give inconsistent answers. This study aimed to test the claim that these inconsistencies occur because children infer that their first answer was unsatisfactory, and that the adult expects them to change their answer. Children aged 4, 6, and 8 years (N= 134) were asked about vignettes in which an adult repeated a question, with manipulation of the adult's overt dissatisfaction (high vs. low pressure) and knowledge about the information sought. On a separate occasion, the children were given an unrelated event recall interview containing repeated questions. All age groups showed sensitivity to adult dissatisfaction, interpreting question repetition as an implicit request for answer change more frequently in the high than in the low-pressure vignettes. Overall, however, these 'change-expected' interpretations were least frequent in the younger children, who were the most prone to shifting. Also there was no evidence that these interpretations were associated with more frequent shifting in the recall interview. The results do not provide clear support for a simple conversational inference account of shifting, especially in younger children. A chief characteristic of any highly civilized society requires that its members be capable of an elevated level of discernment regarding the prevailing language and symbols. If we are to consider that the wide acceptance of hypnotherapy as an evolutionary force, we must likewise become more sensitive to how clearly we communicate. Thus, we must be able to make distinctions between various concepts – such as the difference between education and training as it applies to our field. Neurocognition under hypnosis: findings from recent functional neuroimaging studies. Functional neuroimaging studies show that hypnosis affects attention by modulating anterior cingulate cortex activation and uncoupling conflict monitoring and cognitive control function. Considering functional changes in the activation of the occipital and temporal cortices, precuneus, and other extrastriate visual areas, which account for hypnosis-induced altered reality perception, the role of mental imagery areas appears to be central under hypnosis. This is further stressed by the fact that motor commands are processed differently in the normal conscious state, deviating toward the precuneus and extrastriate visual areas. Functional neuroimaging also shows that posthypnotic suggestions alter cognitive processes. Further research should investigate the effects of hypnosis on other executive functions and personality measures. Perception of short time scale intervals in a hypnotic virtuoso. Previous studies showed that hypnotized individuals underestimate temporal intervals in the range of several seconds to tens of minutes. However, no previous work has investigated whether duration perception is equally disorderly when shorter time intervals are probed. In this study, duration perception of a hypnotic virtuoso was tested using repeated standard temporal generalization and duration estimation tasks. When compared to the baseline state, hypnosis affected perception of intervals spread around 600 ms in the temporal generalization task but did not alter perception of slightly longer intervals spread around 1000 ms. Furthermore, generalization of temporal intervals was more orderly under hypnosis than in the baseline state. In contrast, the hypnotic virtuoso showed a typical time underestimation effect when perception of longer supra-second intervals was tested in the duration estimation task, replicating results of the previous hypnosis studies. Building false memories without suggestions. People can come to remember doing things they have never done. The question we asked in this study is whether people can systematically come to remember performing actions they never really did, in the absence of any suggestion from the experimenter. People built LEGO vehicles, performing some steps but not others. For half the people, all the pieces needed to assemble each vehicle were laid out in order in front of them while they did the building; for the other half, the pieces were hidden from view. The next day, everyone returned for a surprise recognition test. People falsely and confidently remembered having carried out steps they did not; those who saw all the pieces while they built each vehicle were more likely to correctly remember performing steps they did perform but equally likely to falsely remember performing steps they did not. We explain our results using the source monitoring framework: People used the relationships between actions to internally generate the missing, related actions, later mistaking that information for genuine experience. Am J Psychol. 2012 Summer;125(2):225-32. Foster JL, Garry M. Victoria University of Wellington, School of Psychology, New Zealand. Posthypnotic state changes and flashbacks: analogous processes? Careful study of the posttraumatic stress disorder and hypnosis literatures reveals some parallels between posttraumatic flashbacks and responses to posthypnotic suggestions. Highly susceptible subjects can slip into hypnosis spontaneously and accept and respond to implied or inadvertent suggestions, some of which may operate in a manner equivalent to posthypnotic suggestions. Later, exposure to appropriate cues may trigger an intrusive revivification of the hypnotic state in which the suggestion occurred. This sequence of events closely resembles the sequence of reactions that some individuals have to trauma that ultimately leads to flashbacks. Thus, flashbacks may be conceived of as intrusive posttraumatic revivifications of trauma-induced hypnosis-like states that are reactivated by trauma-reminiscent cues operating similarly to posthypnotic signals. Implications of viewing flashbacks in this way, especially if this view is supported by future research, could include significant changes in how posttraumatic stress disorder is conceptualized and treated. J Trauma Dissociation. 2012 Oct;13(5):568-81. Lovern J. Department of Applied Social Sciences , Allan Hancock College , Santa Maria , California , USA. Cereb Cortex. 2012 Mar 29. Nemeth D, Janacsek K, Polner B, Kovacs ZA.Institute of Psychology. Introduction: in the aftermath of the so-called memory wars. The term "memory wars" has been used by some to characterize the intense debate that emerged in the 1990s regarding the veracity of recovered memories of child sexual abuse. Both sides in this debate have been motivated by scientific and ethical concerns. Recent years have witnessed a burgeoning of relevant behavioral and neuroimaging evidence that when taken together, points the way toward reconciliation. All of the contributors to this volume acknowledge that true recoveries characterize a substantive proportion of recovery experiences and that suggestive therapeutic techniques may promote false memories. Disagreements continue to exist on the cognitive and motivational processes that can lead to true recoveries and the extent to which false recovered memories occur. The cognitive neuroscience of true and false memories. Of central relevance to the recovered/false memory debate is understanding the factors that cause us to believe that a mental experience is a memory of an actual past experience. According to the source monitoring framework (SMF), memories are attributions that we make about our mental experiences based on their subjective qualities, our prior knowledge and beliefs, our motives and goals, and the social context. From this perspective, we discuss cognitive behavioral studies using both objective (e.g., recognition, source memory) and subjective (e.g., ratings of memory characteristics) measures that provide much information about the encoding, revival and monitoring processes that yield both true and false memories. The chapter also considers how neuroimaging findings, especially from functional magnetic resonance imaging studies, are contributing to our understanding of the relation between memory and reality. A theoretical framework for understanding recovered memory experiences. If recovered memory experiences appear counter-intuitive, this is in part due to misconceptions about trauma and memory, and to a failure to adopt a comprehensive model of memory that distinguishes personal semantic memory, autobiographical event memory, and memory appraisal. Memory performance is generally superior when events, including traumas, are central to identity. Prolonged trauma in childhood, however, can produce severe identity disturbances that may interfere with the encoding and later retrieval of personal semantic and autobiographical event information. High levels of emotion either at encoding or recall can also interfere with the creation of coherent narrative memories. For example, high levels of shock and fear when memories are recovered unexpectedly may lead to the experience of vivid flashbacks. Memory appraisals may also influence the sense that an event has been forgotten for a long time. Recovered memories, although unusual, do not contradict what we know about how memory works. Full title: Reading speed, comprehension and eye movements while reading Japanese novels: evidence from untrained readers and cases of speed-reading trainees. BACKGROUND: A growing body of evidence suggests that meditative training enhances perception and cognition. In Japan, the Park-Sasaki method of speed-reading involves organized visual training while forming both a relaxed and concentrated state of mind, as in meditation. The present study examined relationships between reading speed, sentence comprehension, and eye movements while reading short Japanese novels. In addition to normal untrained readers, three middle-level trainees and one high-level expert on this method were included for the two case studies. METHODOLOGY/PRINCIPAL FINDINGS: In Study 1, three of 17 participants were middle-level trainees on the speed-reading method. Immediately after reading each story once on a computer monitor, participants answered true or false questions regarding the content of the novel. Eye movements while reading were recorded using an eye-tracking system. Results revealed higher reading speed and lower comprehension scores in the trainees than in the untrained participants. Furthermore, eye-tracking data by untrained participants revealed multiple correlations between reading speed, accuracy and eye-movement measures, with faster readers showing shorter fixation durations and larger saccades in X than slower readers. In Study 2, participants included a high-level expert and 14 untrained students. The expert showed higher reading speed and statistically comparable, although numerically lower, comprehension scores compared with the untrained participants. During test sessions this expert moved her eyes along a nearly straight horizontal line as a first pass, without moving her eyes over the whole sentence display as did the untrained students. CONCLUSIONS/SIGNIFICANCE: In addition to revealing correlations between speed, comprehension and eye movements in reading Japanese contemporary novels by untrained readers, we describe cases of speed-reading trainees regarding relationships between these variables. The trainees overall tended to show poor performance influenced by the speed-accuracy trade-off, although this trade-off may be reduced in the case of at least one high-level expert. PLoS One. 2012;7(5):e36091. Epub 2012 May 9. Miyata H, Minagawa-Kawai Y, Watanabe S, Sasaki T, Ueda K. Japan Society for the Promotion of Science, Tokyo, Japan. Individuals are sometimes exposed to information that may endanger their well-being. In such cases, forgetting or misremembering may be adaptive. Childhood abuse perpetrated by a caregiver is an example. Betrayal trauma theory (BTT) proposes that the way in which events are processed and remembered will be related to the degree to which a negative event represents a betrayal by a trusted, needed other. Full awareness of such abuse may only increase the victim's risk by motivating withdrawal or confrontation with the perpetrator, thus risking a relationship vital to the victim's survival. In such situations, minimizing awareness of the betrayal trauma may be adaptive. BTT has implications for the larger memory and trauma field, particularly with regard to forgetting and misremembering events. This chapter reviews conceptual and empirical issues central to the literature on memory for trauma and BTT as well as identifies future research directions derived from BTT. Gaining knowledge via other minds: children's flexible trust in others as sources of information. In five experiments, we examined 3- to 6-year-olds' understanding that they could gain knowledge indirectly from someone who had seen something they had not. Consistent with previous research, children judged that an informant, who had seen inside a box, knew its contents. Similarly, when an informant marked a picture to indicate her suggestion as to the content of the box, 3- to 4-year-olds trusted this more frequently when the informant had seen inside the box than when she had not. Going beyond previous research, 3- to 4-year-olds were also sensitive to informants' relevant experience when they had to look over a barrier to see the marked picture, or ask for the barrier to be raised. Yet when children had to elicit the informant's suggestion, rather than just consult a suggestion already present, even 4- to 5-year-olds were no more likely to do so when the informant had seen the box's content than when she had not, and no more likely to trust the well-informed suggestion than the uninformed one. We conclude that young children who can ask questions may not yet fully understand the process by which they can gain accurate information from someone who has the experience they lack. ©2011 The British Psychological Society. In laboratory research, hypnotic suggestions have increased simple learning performance. 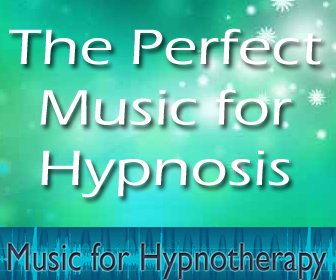 There is also evidence that hypnosis may be used to increase higher level cognitive processes such as reading speed and listening omprehension. But using a traditional, relaxed, eyes-closed induction made it difficult to read and take tests and do other activities involved in independent academic performance. The subsequent development and refinement of an alert, eyes-open induction and appropriate suggestions made it possible for students to significantly increase reading comprehension and academic performance. Conscious Cogn. 2011 Dec 16. Lipari S, Baglio F, Griffanti L, Mendozzi L, Garegnani M, Motta A, Cecconi P, Pugnetti L. Department of Radiology, Fondazione Don Carlo Gnocchi ONLUS, Milan, Italy. Effects of interviewer behavior on accuracy of children's responses. Previous research has shown that certain interviewer behaviors can evoke inaccurate answers by children. In the current study, we examined the effects of approving and disapproving statements on the accuracy of 3 children's answers to questions in an interview (Experiment 1). We then evaluated 3 questioning techniques that may be used by interviewers during a forensic interview in which a child provides eyewitness testimony (Experiment 2). All participants responded with more inaccurate answers when approving statements followed inaccurate information and disapproving statements followed accurate information in Experiment 1. During Experiment 2, 1 participant responded most inaccurately when she was requestioned after providing an initial answer, whereas the remaining 2 participants responded most inaccurately when the interviewer provided cowitness information and suggestive questions. What People Believe about How Memory Works: A Representative Survey of the U.S. Population. PLoS One. 2011;6(8):e22757. Simons DJ, Chabris CF. Clin Psychol Rev. 2011 Aug;31(6):1022-31. Epub 2011 Jun 23. Landolt AS, Milling LS. Department of Psychology, Beckman Institute, University of Illinois, Champaign, Illinois, United States of America. The effects of encoding in hypnosis and post-hypnotic suggestion on academic performance. Enhancing witness memory with techniques derived from hypnotic investigative interviewing. Full title: Enhancing witness memory with techniques derived from hypnotic investigative interviewing: focused meditation, eye-closure, and context reinstatement. Due to several well-documented problems, hypnosis as a forensic interviewing tool has been largely replaced by the cognitive interview; however, the latter is problematic in time and complexity. This article builds on previous research showing that some procedures used in traditional hypnotic forensic interviewing might still be useful in developing alternative procedures for use in investigative interviewing. Two experiments are described that include a focused meditation with eye-closure technique with similarities to conventional hypnotic induction but without the label of hypnosis. In the first, focused meditation was comparable to a context reinstatement, or revivification, technique in facilitating memory in children aged 6 to 7 without increasing errors or inflating confidence. In the second, when used in combination with context reinstatement, focused meditation was resistant to the effects of misleading information in adults. Implications are discussed. Int J Clin Exp Hypn. 2011 Apr;59(2):146-64. Wagstaff GF, Wheatcroft JM, Caddick AM, Kirby LJ, Lamont E. University of Liverpool, United Kingdom. FULL TITLE: People who expect to enter psychotherapy are prone to believing that they have forgotten memories of childhood trauma and abuse. FULL TITLE: Social processes affecting the mnemonic consequences of rumors on children's memory. This research examined whether the impact of overheard rumors on children's memory for their experiences varies as a function of social processes. The results of two experiments revealed that the very same errant rumor had different consequences for children's recollections depending on the degree and type of social interactions they had with peers after exposure to the rumor. In both experiments, 3- to 5-year-olds overheard a false rumor about a recently experienced event and then were interviewed about the event 1 week later. In Experiment 1, children were more likely to report experiencing rumored-but-nonoccurring information if they were allowed to interact naturally with peers following exposure to the rumor than if they were prevented from peer exchange. In Experiment 2, exposure to the rumor induced greater memory contamination if it was planted among familiar peers than if it was encountered among strangers. The ups and downs of memory. Ever since the classic work of Ebbinghaus (1885/1964), the default view in scientific psychology has been that memory declines over time. Less well-known clinical and laboratory traditions suggest, however, that memory can also increase over time. Ballard (1913) demonstrated that, actually, memory simultaneously increases and decreases over time and thus has not 1 but 2 tendencies. When more than 1 recall test is administered, a later test invariably shows loss of some items remembered earlier (oblivescence), but later tests also invariably show that previously unremembered items are recovered in later tests (reminiscence). Depending on a number of factors (e.g., the stimulus used), the overall balance between reminiscence and oblivescence may be positive (hypermnesia) or negative (amnesia). Modern multitrial recall studies have extensively documented hypermnesic memory in single laboratory sessions and, also, although less frequently, over periods of days, weeks, and even months. With hypermnesic memory now established, hypnosis has been shown not to add anything to regular hypermnesia. This article presents an integration of the scattered literatures, which now, after a century of experimental and clinical effort, coheres into a solid empirical picture, with numerous implications (e.g., for the recovered memory controversy, eyewitness testimony, repression, and subliminal perception).